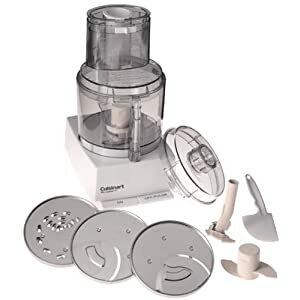 Cuisinart DLC-8S 11-Cup Pro Custom 11 Food Processor is on sale at Amazon.com for only $99 now (Reg.$330) and this item ships for FREE with Super Saver Shipping. 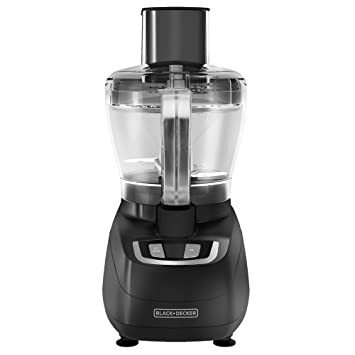 Walmart.com now you can buy this Black+Decker Performance Fusionblade 5-Speed Digital Touch Blender for just $55.29 shipped (regularly $119.99). 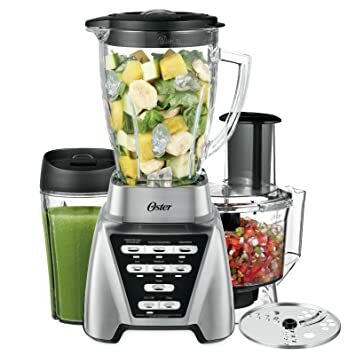 This blender features five speeds, a large eight-cup glass blending jar, a 20oz personal blending cup, and a powerful motor so you can mix, chop, blend, and puree quickly and efficiently. 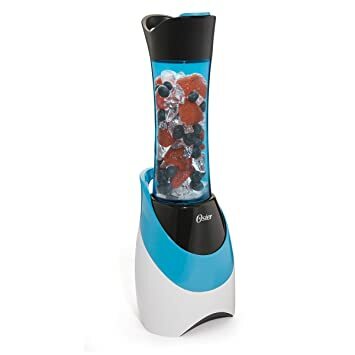 Amazon.com now is offering up this Oster My Blend 250-Watt Blender with Travel Sport Bottle in Light Powder Blue for only $17.99. With this easy to use blender, you can blend your favorite smoothie or shake right in the portable, dishwasher safe and BPA-free sports bottle. 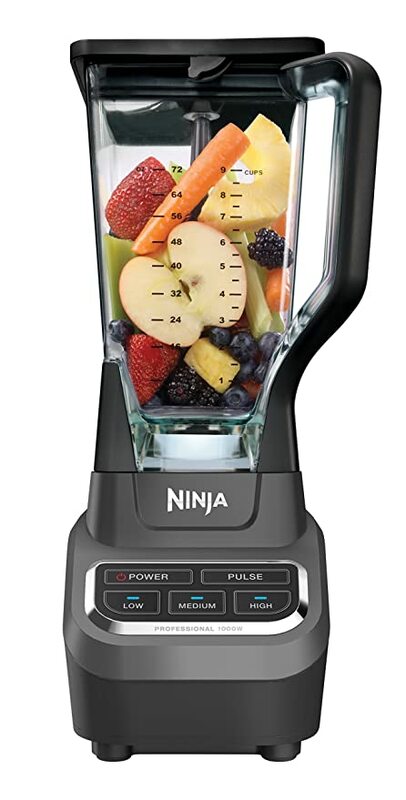 Walmart.com now you can get this Ninja Fit Blender for only $39.99 shipped! Amazon now you can get this Black+Decker 8-Cup Food Processor for just $16.99 (regularly $27.99)! This processor features an 8 cup workbowl, stainless steel slicing/shredding disk and chopping blade, and a non-skid suction cup bottom to keep it steady. Plus, all parts are dishwasher safe! Amazon.com now get this Breville Control Grip Immersion Blender for just $79.96 shipped (regularly $150) – fantastic reviews! 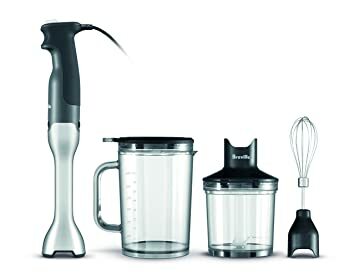 This Immersion Blender has 15 variable speeds and comes with a wire whisk attachment, a 3-cup chopper bowl with stainless steel blade, and a 5-cup mixing/measuring jug with a storage lid. The non-scratch edge keeps the blender from scratching your pans and bowls when you use it and the ergonomic handle with trigger on/off button makes it easy to use one handed. For a limited time, BestBuy.com is offering up this highly rated Nutri Ninja BlendMax DUO Auto-iQ Boost 88oz Blender for just $114.99 shipped (regularly $229.99)! 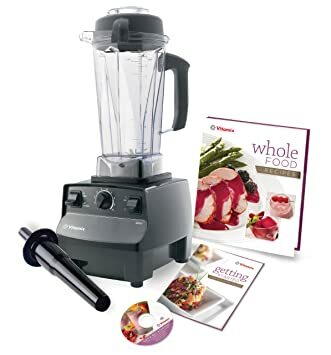 This blender comes with an 88-ounce pitcher with lid and pour spout, two 24oz and one 18oz Tritan Nutri Ninja cups, a 20-recipe book and more! It’s great for making smoothies, sauces, and fresh juices. Amazon now get this Oster Pro 1200 3-in-1 with Food Processor Attachment and XL Personal Blending Cup for just $56 shipped (regularly $89.99) – BEST PRICE! This blender features smart settings which are conveniently programmed to blend the perfect smoothies, salsas and milkshakes with just one touch. It also includes a 5-cup BPA-free food processing bowl, stainless steel slicing disk, chopping blade and a 10-Year DURALAST All-Metal Drive Limited Warranty! Walmart.com now get this Nutri Ninja Auto-iQ Compact Blender System for only $45.38 shipped (regularly $130). 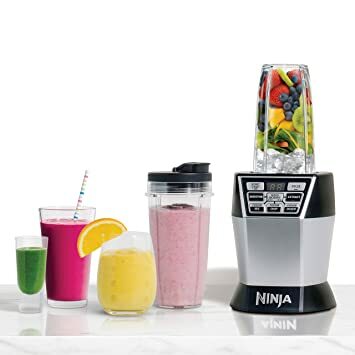 This blender system is perfect for making your own smoothies at home and features a 40 oz blend-and-prep bowl, a double walled stainless steel cup, Tritan Nutri Ninja Cups with Sip and Seal Lids for portability. Amazon now get this Hamilton Beach 8-Cup Food Processor in Black for just $19.19 (regularly $36.49) – BEST PRICE. 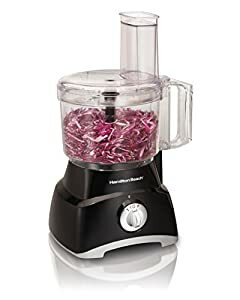 This food processor features a powerful 450 watt motor with 2 speeds plus a pulse feature so you can chop, slice, shred, grate, mix and puree much faster than doing it by hand. BestBuy.com now you can buy this Ninja Nutri Ninja Auto-iQ 6-Speed Blender for only $79.99 shipped (regularly $159.99). 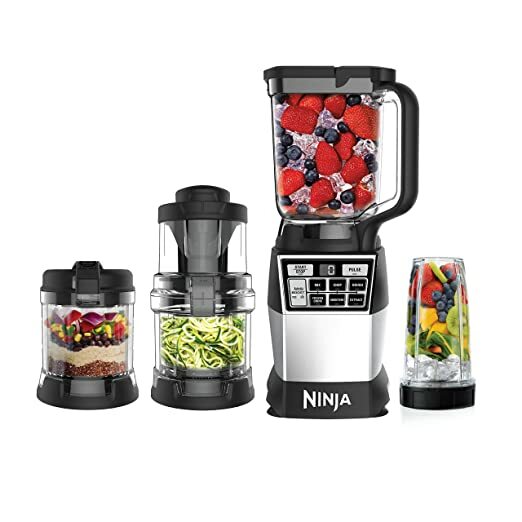 This Ninja Blender includes the Nutri Ninja Auto-iQ BL490T, Pro Extractor Blades, two Nutri Ninja 710 ml cups, two sip & seal lids and a recipe booklet! Perfect for whipping up your favorite smoothies! Amazon now get this Cuisinart Elemental 8 Cup Food Processor in Gunmetal for just $55.49 shipped (regularly as much as $78.71)! 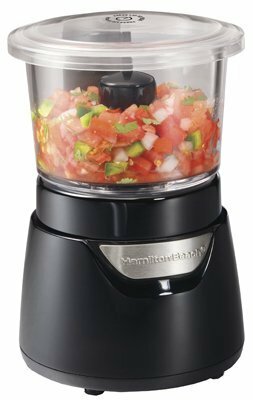 This food processor includes an 8-cup work bowl with measurement markings, a reversible shredding and slicing disc and features 3 speed options so you can blend, chop, mix, slice or puree your food just how you like it. Even sweeter, all removable parts are dishwasher safe so clean up is a breeze! Through February 3rd, Target.com now they are offering a FREE $20 Target Gift Card when you buy select Cuisinart appliances. This Cuisinart Elemental 8-Cup Food Processor in Gunmetal is just $65.99 shipped making it just $45.99 after the FREE $20 Target gift card! It has three speed options to let you chop, blend, slice, and more. On Amazon.com you can now buy this Ninja Nutri Bowl Duo Food Processor for just $59.98 shipped (regularly $99.99) – lowest price! This food processor features a 4-cup Nutri bowl large enough to handle everything from chopping to pureeing to making dough. It includes a 1200W base, Nutri bowl, two Nutri Ninja Cups with spout lids, and a recipe booklet. Today, March 6th only, Amazon is offering up this highly rated Vitamix 5200 Blender for just $298.94 shipped (regularly $399.95). Use this powerful multipurpose blender to make soups, smoothies and frozen desserts for your entire family as the 64oz container provides enough space for medium to large batches. Plus, your Vitamix machine can clean itself in 30 to 60 seconds with just a drop of dish soap and warm water! On Amazon.com now you can buy this KitchenAid 7-Cup Food Processor for just $57.93 shipped (regularly $129.99) – lowest price! This food processor comes with 3 settings (high, low and pulse) so you can easily chop anything with just the touch of a button. The 2-in-1 feed tube at the top lets you easily add food to be sliced no matter how big or small. It also comes with a one year warranty. 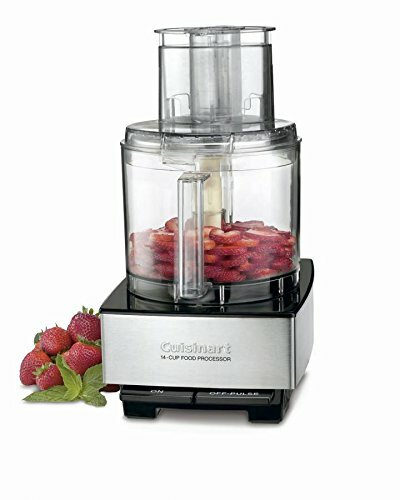 如果你现在正想买一个食物打碎机的话， On Amazon.com this highly rated Cuisinart 14-Cup Food Processor 降价后 for just $144.99 shipped (regularly $365). 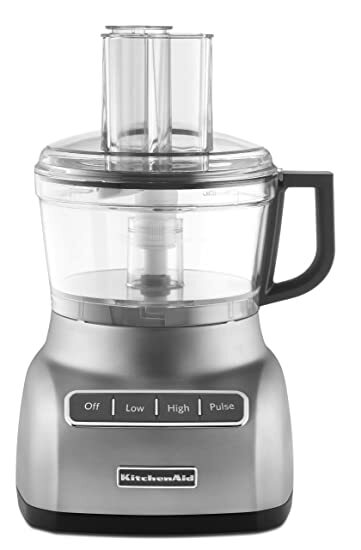 This food processor includes a stainless-steel slicing disc, shredding disc, and new chopping blade. It can mix, chop, slice, shred, knead, emulsify, puree, and mix dough all with the touch of a button. Even better, it has an extra large feeding tube and large capacity so you can work with large amounts of food! Today, April 24th only, on Amazon you can get this Ninja 4-in-1 Kitchen System for just $94.99 shipped (regularly $259.99) – lowest price. This kitchen system features four interchangeable vessels that can blend, process, crush and spiralize. It comes with a 72oz Total Crushing Pitcher, 24oz High-Speed Blender Cup, 4-cup Precision Processor Bowl, and an Auto-Spiralizer. 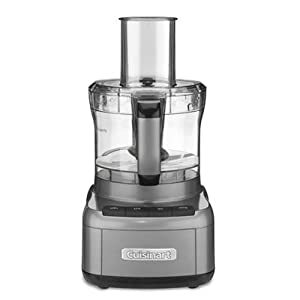 On Amazon.com where you can now get this Cuisinart Hurricane Pro Blender for just $186.77 shipped (regularly $263.11) – lowest price ever. This blender includes a 64-ounce BPA-free Tritan plastic jar with soft-grip handle. It has a variable speed control and preset memory function. Even better, it has a 3 year control and 10 year motor warranty! Amazon now you can get this Blendtec Total Blender Classic with FourSide Jar for just $199.95 shipped (regularly $364.03)! 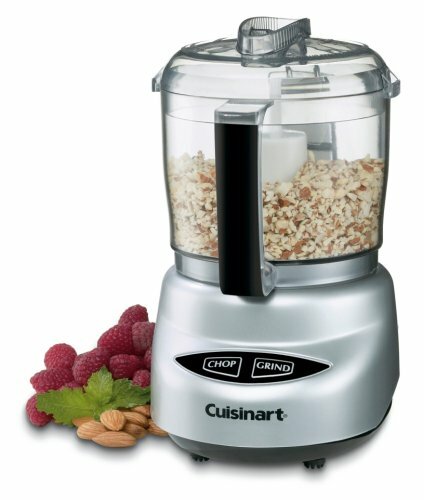 This commercial quality blender has six pre-programmed blending cycles and can easily crush ice and frozen fruit. 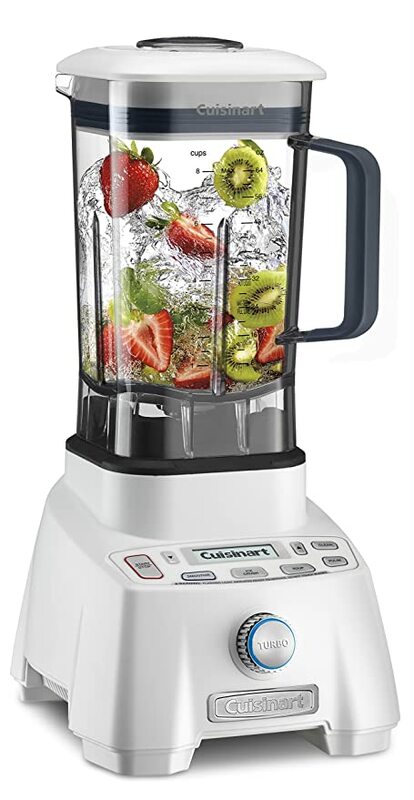 This blender has lots of great reviews and comes with an eight year warranty! On Amazon where you can now buy this Cuisinart Mini Prep Plus Food Processor in Brushed Chrome and Nickel for only $24.99 (regularly $75) – LOWEST PRICE! 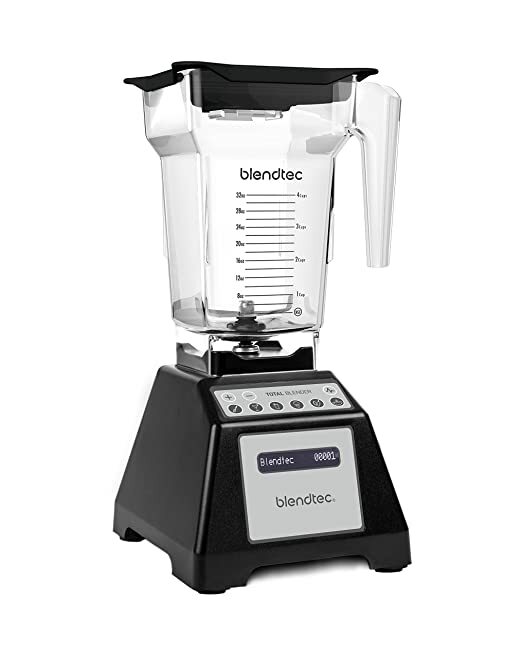 Today only, June 18th, on BestBuy.com where you can now buy this Blendtec Designer 650 Stainless Steel Blender for just $299.99 shipped (regularly $499.99). This blender has touch controls that let you quickly choose automatic blending cycles that match the speed needed for the ingredients you are using. A medium size 36oz blending jar is included which is a great size for smoothies! Even better, it includes an 8-year warranty! Today, July 17th only, on Amazon where Prime Members can get this highly rated Shark Ninja Professional 72oz Countertop Blender for just $49.99 shipped (regularly $86.95) – lowest price. This blender makes drinks and smoothies in just seconds with total crushing technology and has a safety feature that keeps blades from spinning unless the lid is secured. It is also BPA free and is dishwasher safe. On Walmart.com where you can now get this Ninja Supra Kitchen Blender System with Food Processor for just $99 shipped (regularly $169).